Our September general meeting will be the annual Spring Show kick-off and pot-luck. 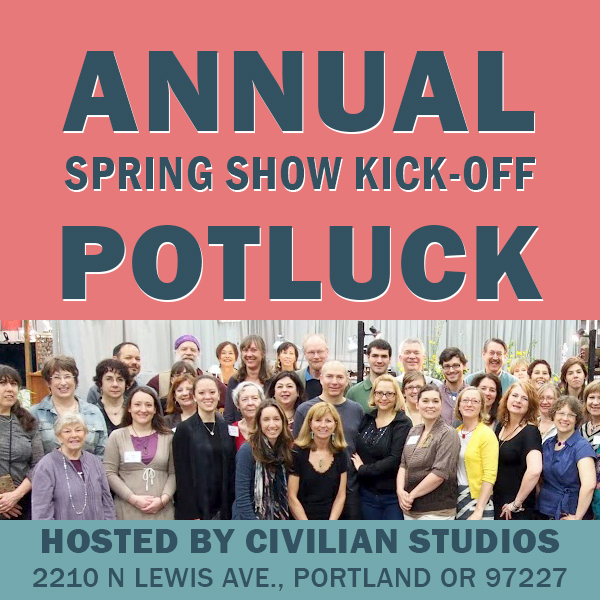 Like last year, it will be held at Civilian Studios – 2210 N Lewis Ave., Portland OR 97227. We will meet, eat and discuss the outcome of our 2014 Spring Show and plans for 2015. Even if you arenâ€™t planning on doing the show this will be a fun opportunity to socialize with your fellow metalsmiths and check out a really cool studio space. Civilian Studios is a large warehouse that Ashley Heitzman, guild member and designer behind Ashley May Jewelry, co-founded with another artist to bring affordable work space to Portland’s emerging makers. Civilian Studios is located in an industrial sector situated between the Willamette River and Interstate Ave, about a mile north of the Oregon Convention Center. Parking is available on the street, in front of the building (nose in style) and at our neighborâ€™s parking lot, Indow Windows, located on Interstate Ave just south of the turn for Lewis Ave. The 2015 Spring Show dates are April 24, 25, and 26, 2015 â€“ thatâ€™s the last weekend in April. There are going to be a lot of changes this year. The Oregon Potters Association got tired of dealing with the convention center and will move their event to the Memorial Coliseum on the weekend following our show. It will be interesting to see what effect this may have on us. We will still be collaborating with the glass, bead, weaving and wood guilds as â€œThe Gathering of the Guildsâ€ but we have been moved to Hall A (the one the potters used to be in). This space is almost half the size of Hall C, so the layout will be different but there are still many details to be worked out. One thing I know you all will be happy to hear is that we will have shorter hours, Friday 10 to 7, Sat 10 to 6 and Sunday our usual 10 to 5! I know weâ€™ve said this before butâ€¦ we need your help to run this show! Without enough volunteers we canâ€™t do it. Without enough people who are willing to step up and serve on the steering committee for the 2016 show, it wonâ€™t happen. This is the last year that many of the steering committee members are able to serve and it would make a much smoother transition if anyone interested in helping started now so they can see how things are run. We also need people to serve as chairs on show sub-committees. We would love to get commitments to fill all the chair positions at the pot-luck. Remember that chairs get the lowest commission fee, 15%. Advertising/PR â€“ Responsible for the design and distribution of postcards and posters. Utilizing traditional and social media promotion efforts. Education – Responsible for organizing and maintaining an education exhibit and demonstrations at the show as part of CMAGâ€™s stated purpose to educate the public about art and metal artists. Layout â€“ Responsible for devising a floor plan of the facility and coordinating any requirements and/or services necessary, such as: fire marshal permit, pipe and drape, power, phone lines for charge card facility, producing a layout map to be given to the public, and organizing a team to mark spaces on the exhibit hall floor before load in begins. Sponsorship â€“ Responsible for soliciting sponsors to help pay for show expenses. Treasury– Responsible for helping the show treasurer collect and calculate commissions on sales receipts during the show. Volunteers â€“ helping to find and coordinate volunteers to help with booth sitting, education demonstrations, and staffing the gallery and silent auction during the show. Identify possible sponsors in the community and within CMAG. Send a letter/email and follow up with a call. Ensure benefits are received by coordinating with appropriate committee heads: secretary for ads in the program & map, signage committee for thank you sign, newsletter editor for ads, and webmaster for website logos. Maintain administrative records of donations and distribution of incentives. Coordinate payment from sponsors with the Spring Show Treasurer. Send Thanks to donors with listing of show statistics (sales, attendance) where the donors name appeared and enclose samples of ads and any printed material with the donors name including the CMAG newsletter following the Spring Show. Submit any budget requests and plans to the Steering Committee for evaluation and approval. Give a final report to the Steering Committee after the show. Keep notes that can be passed on to future committeeâ€™s members and give feedback and any suggestions for improvements to the Steering Committee. 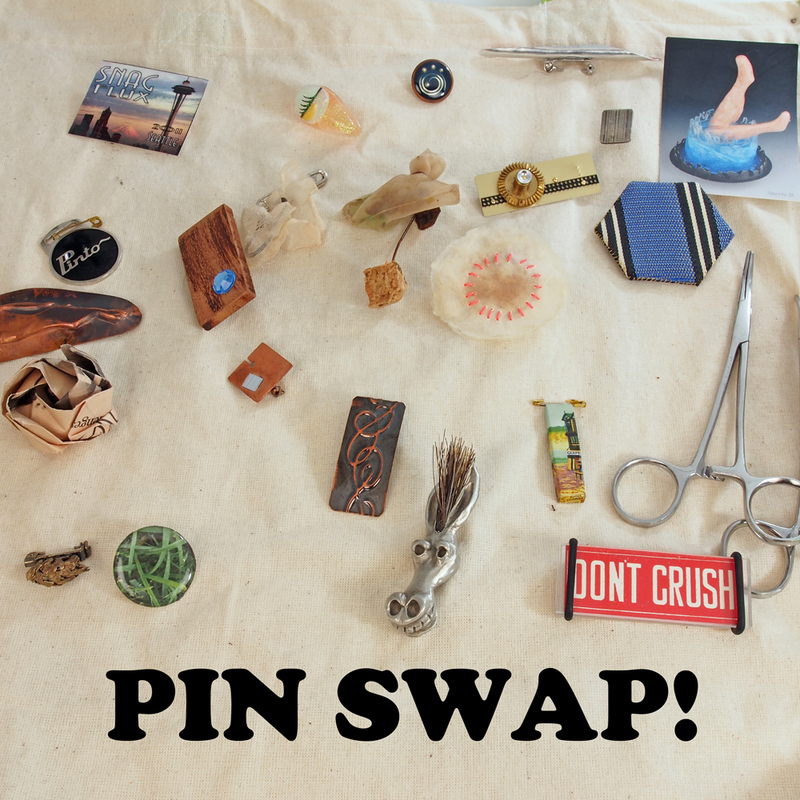 Solicit donations from CMAG members of finished jewelry and sculpture for the Silent Auction. Half of the money collected on donated items will go to the Spring Show account to help pay for the next yearsâ€™ show and half will go to the CMAG education scholarship fund. Arrange for delivery of the display cases (borrowed from Linda and Jo Apodaca and help set-up the silent auction area on the set-up day. All of the auction supplies are stored in the CMAG storage unit and the loud-in committee will deliver them to the show for you. Schedule volunteers to staff the auction during the show. Set up the auction items before the show opens each day, making sure they are labeled correctly and have a bidding page. Remove items from the display case each night and arrange for safe storage. Oversee the auction at the show, coordinating with the gallery committee. Coordinate the collection of money and distribution of auction items. The Volunteers Committee is reasonable for finding and scheduling volunteers to help during the show. Establish a system for the artist to sign-up for booth sitters. While talking to members also solicit for volunteers for the Gallery and the Silent Auction. During the show remind participants that there is a rest area â€œback stageâ€ by the stone dealers. First, I want to thank everyone who has joined or renewed during our membership drive. I also want to say that I’m please at the number of surveys that were returned. Thank you all for lending your voice to shaping the future of CMAG. We are looking at all of your suggestions and thinking about how to continue to improve the offerings of the guild and expand the benefits of membership.That said, please remember that CMAG is a volunteer run organization, and sometimes the items on our to-do list take a little longer to get checked off than we might like. We have plans to expand the web site to include access to the membership directory, increase the reach of member visibility through social media outlets, and offer ever more diverse programs and workshops throughout the year. This is just some of what our volunteers are working on to add to the CMAG experience.In order to do all the things on our to-do list, we could use your help. If you have an idea for a future program, speak up. If you have knowledge or a skill you’d like to share, whether behind the scenes or in front of the room, let us know. We will start with our usual business meeting, with the rest of the evening devoted to trading pins and touring Mandyâ€™s studio. Light refreshments will be provided. Meeting starts at 7:15pm and goes to 9pm. 5855 NE 33rd Ave. Portland, OR 97211 (across the street from McMenamins’ Kennedy School). 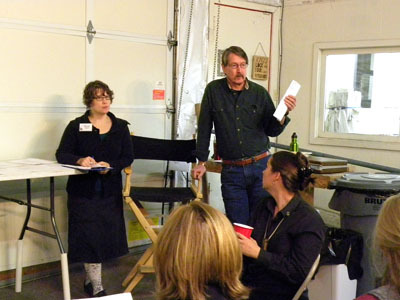 The volunteer members of the Seattle Metal Guildâ€™s Symposium Committee are pleased to announce this yearâ€™s lineup of speakers for the annual Northwest Jewelry and Metals Symposium. Working to the theme of Continuum, we have selected six speakers – curator Suzanne Ramljak, historian Stephen Fliegel, metalsmith Myra Mimlitsch-Gray, artist Jennifer Trask, jeweler Todd Pownell and sculptor Vivian Beer to share their expertise and wisdom with our audience. The close-of-day speakersâ€™ reception will also double as the opening celebration for the Protective Ornament exhibition, meaning Symposium attendees will be among the first to see this beautiful collection of wearable objects. 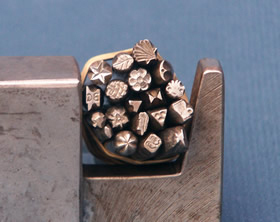 Methods for jewelry manufacturing are changing rapidly. New technologies and artistic trends coupled with an increased competitive environment require that businesses stay current to remain at the top of their field. The Portland Jewelry Symposium is a one-of-a-kind event that brings together custom jewelers, designers, and retailers to do just that. We like to think of it as the â€œGreat Think Tankâ€ for jewelers that are passionate about their craft. Come join us for a day full of knowledge, inspiration and networking with like-minded peers from across the nation! 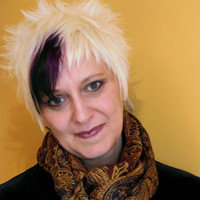 Where: Room 33 at the Multnomah Arts Center, 7688 SW Capitol Highway Portland 97219. What to send: By far the most important would be reporting any CMAG event you participated in or attended. Visiting an exhibit or symposium. 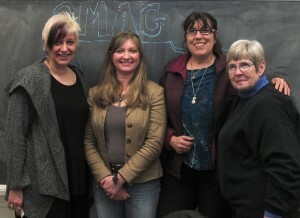 Taking a CMAG workshop. Our newsletter depends completely on the members to report on these activities. Also important in this vein would be metal art events you participate in outside CMAG; galleries, shows, workshops, books. How to send: By email. Send to news@cmaguild.org . Put text in the body of the email. Try to send some text. Even if it seems a bit random. It’ll work in fine. Send pictures. The internet is all about pictures. Best format is jpeg but send what you have.